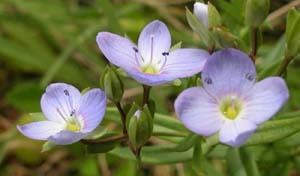 Veronica gracilis (Slender Speedwell) is a widespread and very common native herb. It mostly grows in grasslands and grassy woodlands. 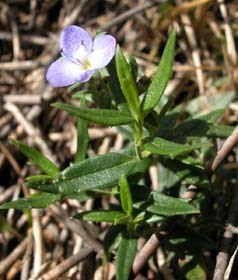 It is a slender herb with narrow, entire, opposite and decussate leaves and largish, usually blue, flowers (about 1.5cm across).